Pionyr is exploiting novel target discovery and antibody generation platform technologies to create novel immuno-oncology therapeutics targeting the tumor microenvironment. The company’s initial approach, termed “Myeloid Tuning,” is designed to enhance the immune system’s antitumor response by altering the cellular infiltrate of the tumor microenvironment with high specificity. Pionyr has several Myeloid Tuning programs in late preclinical development for solid tumors. Homology Medicines, Inc. (Nasdaq: FIXX) is a genetic medicines company on a mission to advance its proprietary gene editing and gene therapy platform and transform the lives of patients by potentially curing rare genetic diseases. The company’s technology platform is based on a novel set of adeno-associated virus vectors derived from human hematopoietic stem cells (AAVHSCs) designed to precisely deliver genetic medicines in vivo either through gene therapy or the body’s natural DNA repair process of homologous recombination through nuclease-free gene editing. Allogene Therapeutics launched in April 2018 with a mission to catalyze the next revolution in cancer treatment through the development of allogeneic chimeric antigen receptor T-cell (CAR T) therapy directed at blood cancers and solid tumors. Led by a team who brings unrivaled clinical development acumen in cell therapy, Allogene is well-positioned to further the potential of allogeneic cell therapy for patients. Allogene was funded with a $300 million Series A – one of the largest initial financings in biotech history. Arie Belldegrun, M.D., FACS, is a Co-Founder and Senior Managing Director of Vida Ventures. A visionary entrepreneur, Arie is co-founding and leading the creation of Allogene Therapeutics, a biotechnology company with a mission to catalyze the next revolution in cancer treatment through the development of allogeneic chimeric antigen receptor T-cell (CAR T) therapy directed at blood cancers and solid tumors. 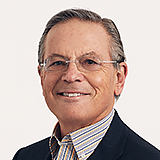 Arie founded Kite Pharma, a biopharmaceutical company engaged in the development of innovative cancer immunotherapies where he served as Chairman, President, and Chief Executive Officer until the acquisition of Kite by Gilead Sciences in October 2017. He remains as Vice Chairman of the Board of Directors for FosunKite, a joint venture formed between Fosun Pharma and Kite, a Gilead company, for the development of cell therapy in China. Arie has had a distinguished tenure in the life sciences, having been closely involved with the founding and advancement of several successful biopharmaceutical companies including Cougar Biotechnology and Agensys. Abiraterone, developed by Cougar, is a mainstay of therapy for patients with metastatic prostate cancer. 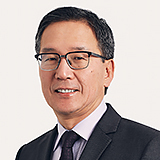 He currently serves as Chairman of Two River Group and UroGen Pharma, (NASDAQ: URGN), and previously served as a Board Member of Cell Design Labs until its acquisition by Gilead in December 2017. 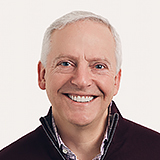 Fred Cohen, M.D., D.Phil is a Co-Founder and Senior Managing Director at Vida Ventures. Prior to Vida, Fred was a Partner and founder of TPG Biotechnology, a life science focused investment effort from 2001-2016. 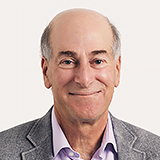 From 1980 through 2014, Fred was at UCSF where he held various clinical responsibilities as a research scientist, an internist for hospitalized patients, a consulting endocrinologist, and as the Chief of the Division of Endocrinology and Metabolism. His research interests included structure based drug design, prion diseases, computational biology and heteropolymer chemistry. Fred has published over 200 peer reviewed articles, participated as a co-inventor on over 10 patents and has served as an editor or editorial board member of several international scientific journals. Fred received his B.S. degree in Molecular Biophysics and Biochemistry from Yale University, his D.Phil. in Molecular Biophysics from Oxford on a Rhodes Scholarship, his M.D. from Stanford and his postdoctoral training and postgraduate medical training in Internal Medicine and Endocrinology at UCSF. He is a Fellow of the American College of Physicians and the American College of Medical Informatics and a member of the American Society for Clinical Investigation and Association of American Physicians. Fred has received several awards for his work including a Searle Scholarship, Young Investigator awards from the Endocrine Society and the Western Society for Clinical Investigation, and the LVMH Science pour l’art prize (shared with Stanley Prusiner). Fred was elected to the Institute of Medicine of the National Academy of Sciences in 2004 and the American Academy of Arts and Sciences in 2008. Fred currently serves on the Board of Directors of several biotechnology and pharmaceutical organizations including Biocryst (NASDAQ: BCRX), CareDx (NASDAQ: CDNA), Genomic Health (NASDAQ: GHDX), Progyny, Tandem Diabetes (NASDAQ: TNDM), and Veracyte (NASDAQ: VCYT), and UroGen (NASDAQ: URGN). Fred was Co-Founder and Executive Chairman of Cell Design Labs and a former Director of Quintiles (NYSE: Q), Aptalis Pharma, Rapid Micro Biosystems and Roka (NASDAQ: ROKA), and Five Prime Therapeutics (NASDAQ: FPRX). Fred and his wife, Dr. Carolyn Klebanoff, were founders of Sweetwater Spectrum, a non-profit organization that creates and runs planned communities for adults with autism. Dr. Klebanoff currently serves as the Board Chair and Fred is a member of the Advisory Board. 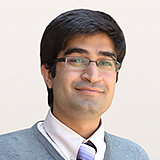 Arjun Goyal is a Co-Founder and Managing Director of Vida Ventures. From 2014 through 2017, Arjun was an investment professional at 5AM Ventures, a life science focused venture firm. Arjun was a Board Observer at Aprea AB, Spyryx, Pear Therapeutics, Portal Instruments, Entrada, and Homology Medicines (NASDAQ: FIXX). At 5AM Ventures, Arjun was part of the founding team of Homology Medicines, a genetic medicines company and he also served as Acting VP of Business Development at Pear Therapeutics. Prior to joining 5AM Ventures, Arjun was Co-Founder and CEO, Foresight Pharmaceuticals, a biopharmaceutical company developing hormonal treatments for infectious diseases. Arjun received his B.S. in Medical Science, Diploma in French and his M.D. degree from the Universities of Melbourne and Oxford. He completed his postgraduate medical training in Internal Medicine at the University of Sydney. He received his M.Phil. in Bioscience Enterprise from Cambridge on a Commonwealth Scholarship and his MBA from Harvard Business School. Arjun has received several awards for his work including the American Australian Association Education Fellowship, Robert Kaplan Life Science Fellowship, Oxford Clarendon Scholarship, Gates Cambridge Scholarship and Reg Waite Award for Young Australians. He is a co-inventor on one patent and has served on the editorial board of an international scientific journal. Arjun is a Board Observer at Pionyr Immunotherapeutics and serves on the Committee for the American Australian Association Education Fellowship and LifeTech Advisory Board of the Swedish American Chamber of Commerce, and was on the 2016 NCI Review Committee for SBIR grants. Len Potter is a Co-Founder of Vida Ventures, and both founded and has served as the President and Chief Investment Officer of Wildcat Capital Management, LLC. In addition, Len has served as the Chief Executive Officer of Infinity Q Capital Management, a registered investment advisor that provides innovative hedge fund strategies to institutional and retail investors. From 2002 through 2009, Len was a Managing Director – Private Equity at Soros Fund Management LLC (“SFM”) where, from 2005 through 2009, he served as co-head of the Private Equity group and a member of the Private Equity Investment Committee. From 2009 until founding Wildcat, Len served as a consultant to SFM and as the Chief Investment Officer of Salt Creek Hospitality, a private acquirer and owner of hospitality related assets that was backed by SFM. From September 1998 until joining SFM, Len was a Managing Director of Alpine Consolidated LLC, a private merchant bank, and from 1996 through 1998, Len founded and served as a Managing Director of Capstone Partners LLC, a private merchant bank. Prior to founding Capstone Partners, Len was an attorney specializing in mergers, acquisitions and corporate finance at Morgan, Lewis & Bockius and Willkie Farr & Gallagher. Len has served and continues to serve on a number of boards of public and private companies, including Hilton Grand Vacations, where he serves as Chairman of the Board, Solar Capital Ltd (SLRC), Solar Senior Capital Ltd. (SUNS), and GSV Capital Corporation (GSVC). Len also served for several years as a Trustee of Brandeis University and as a member of the Investment Committee of the Board of Trustees. Len has a B.A. from Brandeis University and a J.D. from Fordham University School of Law. Len and his wife, Shari Potter, were co-founders of the Basser Center for BRCA at the University of Pennsylvania, a translational research and treatment center focused on BRCA related cancers. 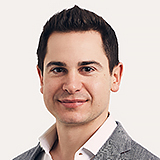 Stefan Vitorovic is a Co-Founder and Managing Director of Vida Ventures. From 2014 to 2017, Stefan was an investment professional at Third Rock Ventures, an early stage life sciences venture capital firm. At Third Rock, Stefan was part of the founding team of Decibel Therapeutics, a hearing-focused drug discovery and development platform company, where he led the seed and Series A investment and early company build. From 2010 to 2012, Stefan was an Associate at TPG Capital, where he focused primarily on majority, control stakes in mature healthcare companies. Stefan participated in a variety of equity and debt financings, including those for two portfolio companies – Aptalis and Biomet. Prior to TPG, Stefan was an analyst at Credit Suisse’s healthcare investment banking group in San Francisco. There he primarily focused on M&A and financing for development-stage life sciences companies. Stefan received his B.S. with Honors in Biological Sciences at Stanford University. He completed his M.S. in Biology at Stanford. His research in the lab of Dr. Helen Blau at Stanford Medical School was focused on transcriptional profiling of hematopoietic stem cells, for which he received the university’s top research award, The Firestone Medal. Stefan also received his MBA from Harvard Business School. Stefan serves as a Director at Praxis Precision Medicines. David D. Chang, M.D., Ph.D. is a Venture Partner at Vida Ventures. He is the President, Chief Executive Officer and Co-Founder of Allogene Therapeutics, a biotechnology company with a mission to catalyze the next revolution in cancer treatment through the development of allogeneic chimeric antigen receptor T-cell (CAR T) therapy directed at blood cancers and solid tumors. David previously served as Executive Vice President, Research & Development, and Chief Medical Officer of Kite, a Gilead Company. He has an industry-leading track record of innovation in the field of oncology drug development, including the development for Yescarta™ (axicabtagene ciloleucel), the first CAR T therapy approved for non-Hodgkin lymphoma. From 2002 to 2014, he held senior leadership roles at Amgen, including Vice President of Global Development and Head of Hematology-Oncology. During this time, David spearheaded personalized therapy strategies that underlied the success of Vectibix® (panitumumab). He also provided therapeutic area leadership to pivotal programs for Blincyto® (blinatumomab) a bispecific T cell engager antibody in acute lymphocytic leukemia and for IMLYGIC™ (talimogene laherparepvec) a first-of-its-kind oncolytic immunotherapy, in melanoma. Prior to joining Amgen, David held dual appointments as Associate Professor of Medicine and of Microbiology, Immunology and Molecular Genetics at the David Geffen School of Medicine at the University of California, Los Angeles. He obtained a B.S. degree in Biology from the Massachusetts Institute of Technology and M.D. and Ph.D. degrees from Stanford University. David completed an internship and residency in internal medicine at Brigham and Women’s Hospital and a fellowship in medical oncology at Dana-Farber Cancer Institute at Harvard Medical School, where he was a Howard Hughes Medical Institute postdoctoral fellow. David serves as a Director at A2 Biotherapeutics, and Peloton Biotherapeutics and is a member of the scientific advisory board to Kronos Bio. 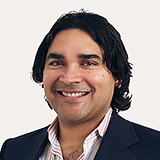 Jaideep Dudani is an Associate at Vida Ventures. Jaideep received his Ph.D. in Biological Engineering at MIT. He received his B.S. with Highest Honors in Bioengineering at UCLA and graduated as the top student in the School of Engineering. He performed his Ph.D. research in the lab of Professor Sangeeta Bhatia at the Koch Institute for Integrative Cancer Research at MIT. Jaideep’s research spanned cancer nanomedicine, proteolytic enzyme biology, biomarker development, and peptide therapeutics. He led a team at MIT to develop nanosensor technology to classify high-risk prostate cancer in close collaboration with Janssen R&D. Jaideep’s research resulted in 6 publications in journals including Nature Biomedical Engineering and PNAS. Jaideep has received a NSF Graduate Research Fellowship, Siebel Scholarship, Ludwig Center for Molecular Oncology Fellowship. He was also selected as a member of the US delegation to the Lindau Nobel Laureate Meeting. His undergraduate work was recognized with a Goldwater Scholarship, Howard Hughes Undergraduate Research Scholarship, and 1st place in the NIH NIBIB DEBUT Inventor Competition. 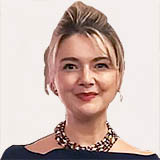 Christine Cassiano is a Strategic Communications Advisor to Vida Ventures. She is a communications executive with wide experience in investor relations, financial communications, corporate communications, media relations, brand strategy and public affairs. Christine previously served as Senior Vice President of Corporate Communications and Investor Relations for Kite Pharma until the acquisition of Kite by Gilead Sciences in 2017. 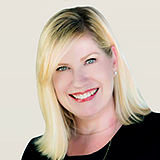 Christine’s career is distinguished through the development of integrated communications strategies for companies with novel therapies such as Yescarta™ (axicabtagene ciloleucel) and Botox®/Botox® Cosmetic (onabotulinumtoxinA). She has held executive management positions in international communications agencies, including roles as the Head of Healthcare for the W2O Group and Senior Vice President & Co-Director for Healthcare at Hill + Knowlton Strategies. Christine co-founded ARC2 Communications & Media, a boutique agency that developed groundbreaking platforms for some of the largest companies in healthcare. She has also held senior global communications roles in biotechnology and pharmaceutical companies such as Amgen, Allergan and Abraxis BioScience. Some of Christine’s career achievements include a SABRE Silver Anvil award for the launch of Botox® Cosmetic (Allergan), an In2 SABRE Award for the Most Innovative Brand/Agency Collaboration (Pfizer/ARC2), and PR Week’s 40 Under 40. She holds a B.A. from California State University, Fullerton and Investor Relations Certification (IRC) from the University of California, Irvine. Joshua is a Co-Founder and Director of Vida Ventures. He is also a Co-Founder and Partner of Two River, where he has served as Partner since its inception in 2004. Prior to founding Two River, he served as Managing Director of a life science focused venture capital firm. 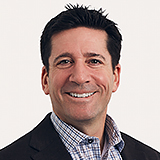 Josh is a Co-Founder, officer and director of Allogene Therapeutics Inc. Josh was also a Co-Founder and Director of Kite Pharma where he served on the board until its acquisition by Gilead in 2017. He also serves on the Board of Directors of Capricor Therapeutics (NASDAQ: CAPR). Josh also serves as a director of several privately held companies including Second Science, and Hubble Contacts. Josh is a Member of the Wharton School’s Undergraduate Executive Board and serves on the Board of Directors of the Desert Flower Foundation. Josh received his B.S. in Economics from the Wharton School of the University of Pennsylvania. David is an Advisor to Vida Ventures. 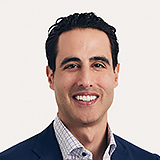 David Tanen is a Co-Founder and Partner of Two River, which focuses on creating, operating and financing development stage life science companies. Prior to founding Two River, he served as General Counsel of a life science focused venture capital firm. David is also a Co-Founder of Kite Pharma, Inc., where he served as Corporate Secretary and General Counsel before its acquisition by Gilead Sciences in 2017. He is a Co-Founder and Corporate Secretary of Allogene Therapeutics, Inc. David received his B.A. from The George Washington University and his J.D. from Fordham University School of Law, where he has served on the Dean’s Planning Council since 2009.